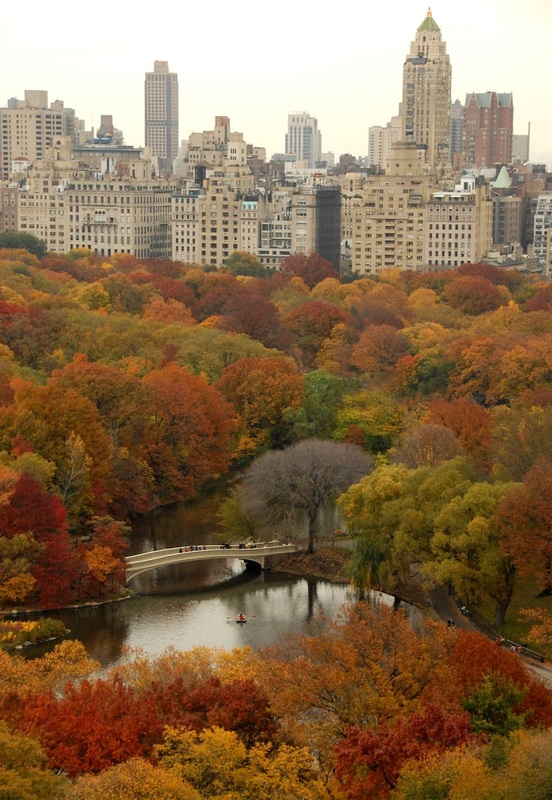 It’s that time of the year when the city that never sleeps is covered with the colors of fall – red, brown, orange, yellow, and it makes an amazing contrast with the tall grey and deep red buildings that make New York authentic. Everyone who visits the city is amazed by it and wishes to come back again and experience the magical atmosphere all over again. Unfortunately, some of us still haven’t been there, so we’re left to look at photos and imagine what would we do when we are going to be there one day! For those of you who have already been to New York, looking at these photos will bring some memories for sure. But, what is certain is that in either case you are going to wish to be there! 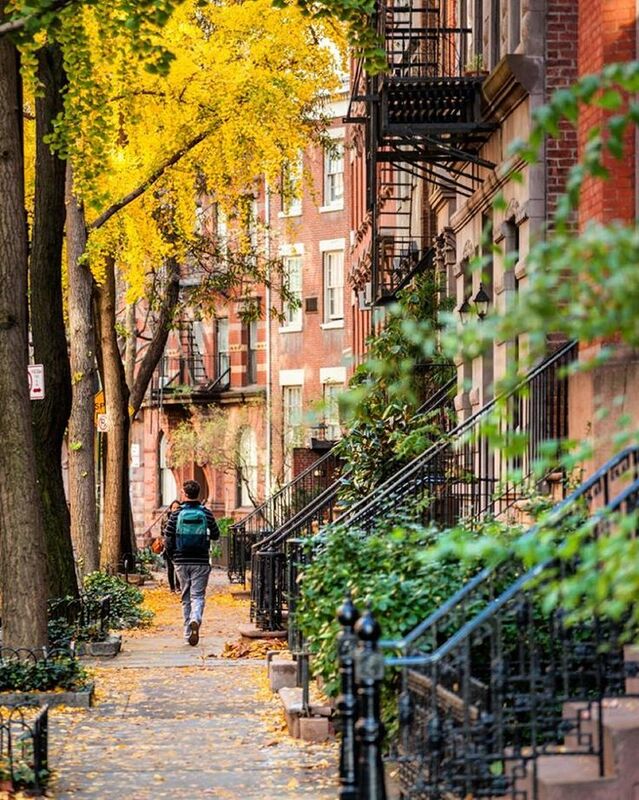 Walking through the most visited urban park of the United States is an experience by itself. You will be amazed by this park surrounded by tall buildings. Photographer Kajo Merkert captured one magical moment that represents the beauty of fall – would you like to be in it? There’s no doubt – Central Park is truly one of the most beautiful urban parks not only in the United States, but in the whole world as well! Being surrounded by all these tall buildings just make it even more authentic and the contrast of the colors will make you wish to see this with your own eyes – at least that’s how we feel! One of the things that makes New York one of the most wonderful cities in the world isn’t just Central Park, but all the other small parks located deep inside the concrete jungle. 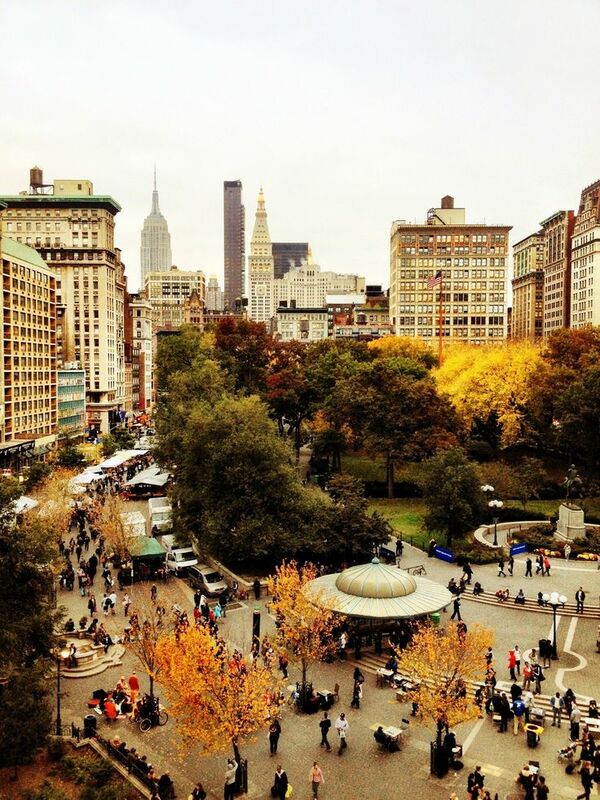 This is a picture taken above the Union Square by Vivienne Gucwa. Don’t you just wish to be here in midtown Manhattan, buy some of the local street food and enjoy the atmosphere from this park? 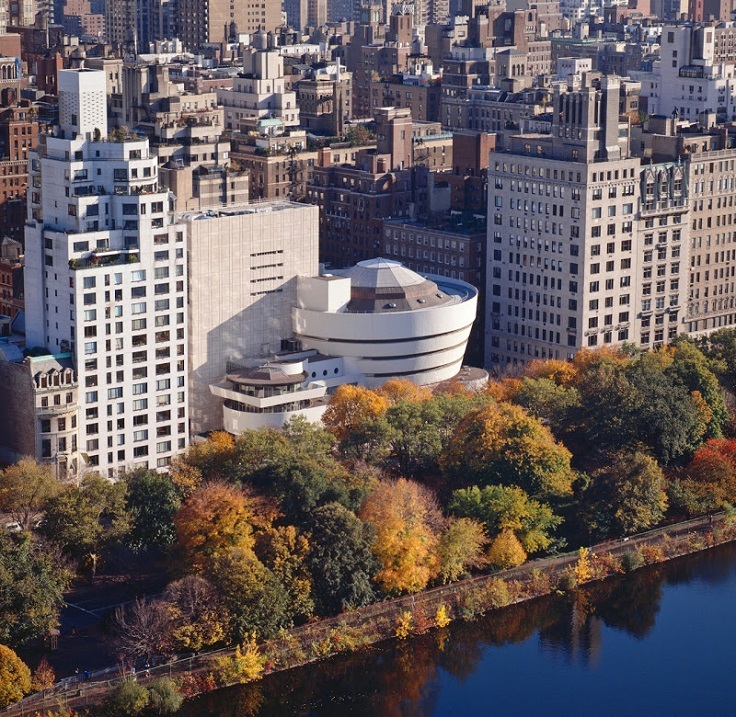 Located in the Upper East Side of Manhattan, the Guggenheim museum is surrounding by so many trees that it even makes impossible not to go to the window and admire how wonderful nature can be. Visiting the museum while in New York is a must and it would be such a pity if you just stay inside and refuse to play with the fallen leaves outside! 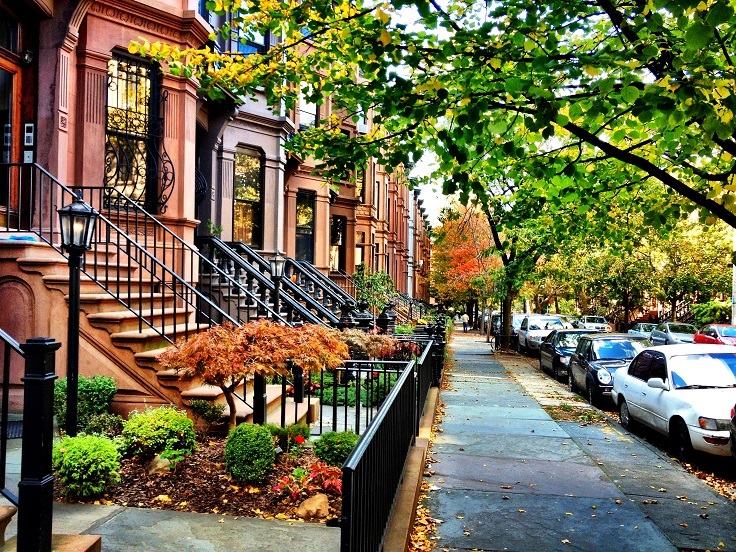 Or, if you’re not into taking photos in front of porches, maybe a walk through West Village is what you really need. 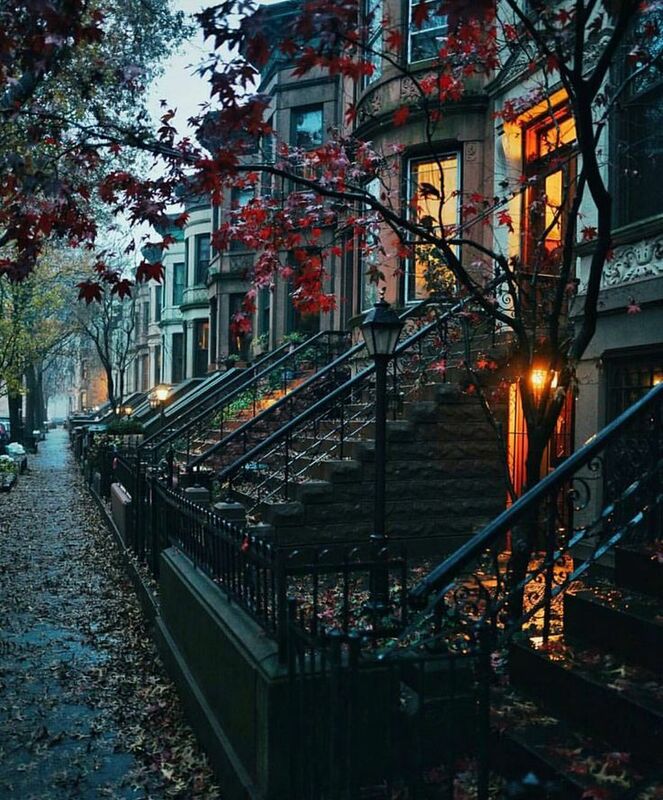 The red brick buildings with their stairs, the trees in front of them and the pathway covered with fallen yellow leaves will make you forget about how tired or moody you are – they can wake up the adventurer in you and make you move forward! 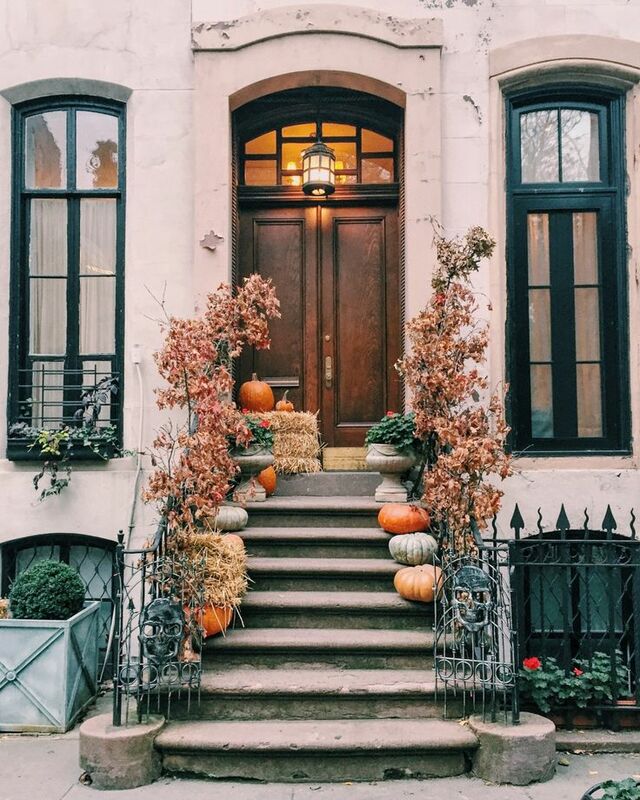 Another popular neighborhood that will leave you breathless with its architecture and fall spirit inside it. This is really something that you won’t find in another country, so make sure to enjoy every step you take. It’s a perfect moment to spend some time with your dog, partner, friend and even yourself – you will fall in love with the atmosphere. Sam Horine is the photographer that captured part of the day when all you can wish is to go inside, prepare a cup of tea and cuddle inside your favorite blanket. Preferably to watch outside the window how the cool wind is playing with the leaves and how the rain is making a satisfying sound on the window. Really, only fall has this amazing spirit! Here’s another art museum on the list that offers amazing view outside the building. 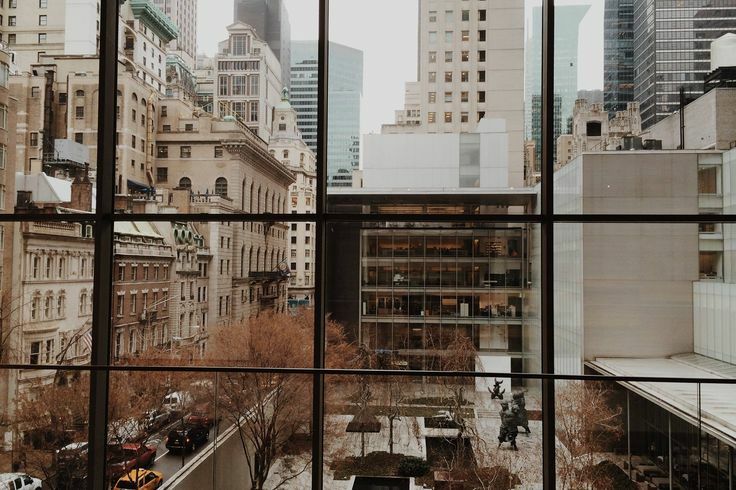 Looking through the windows of the Museum of Modern Art and admiring the beauty of fall in Midtown Manhattan can be a wonderful experience, especially if you’re someone who loves fall. But, even if you don’t we’re pretty sure you will start loving it once you get to New York! 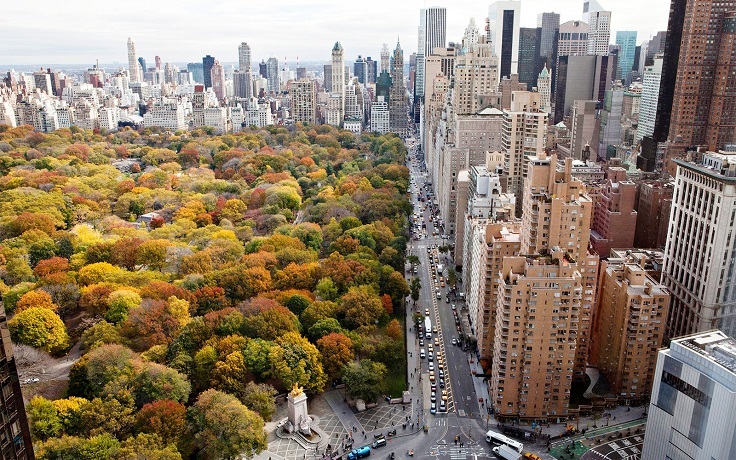 And last, we couldn’t finish this post without another picture of Central Park. 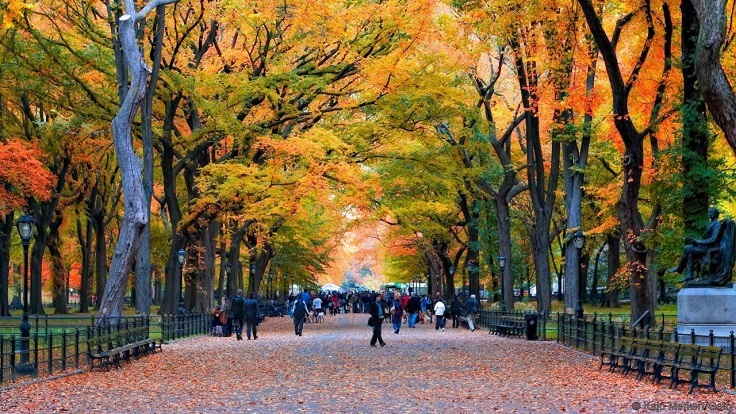 Being visited by 40 million tourists in 2013 only proves that this is something really worth seeing, especially in fall when everything is covered with beautiful colors. Hopefully, one day it would be us standing over there at the Bow Bridge, talking pretty photos and enjoying this awesome park! Krasno, krasno i sve je krasno i sve me vraća u vrijeme prije rata u BiH , bila sam u Americi, konkretno u New Yorku i uspomene do suza su me uzbudile. Bila su to moja i naša sretna i bezbrižna vremene. Hvala na poklonu i lijepim slikama, Vaša Teodora. Imm sliku na mojoj Facebook stranici i ako možete prebacite je na vaš zid. Ima više osoba sa tim imenom, ja sam sa naočalima i imam lijepe slike Art galeri iz Pariza na svome zidu..Pozdrav Teodora.